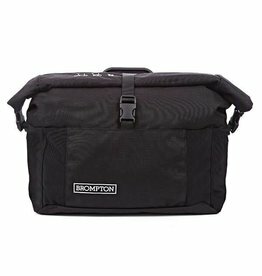 Brompton Rear Rack Bag Black - J.C. Lind Bike Co. 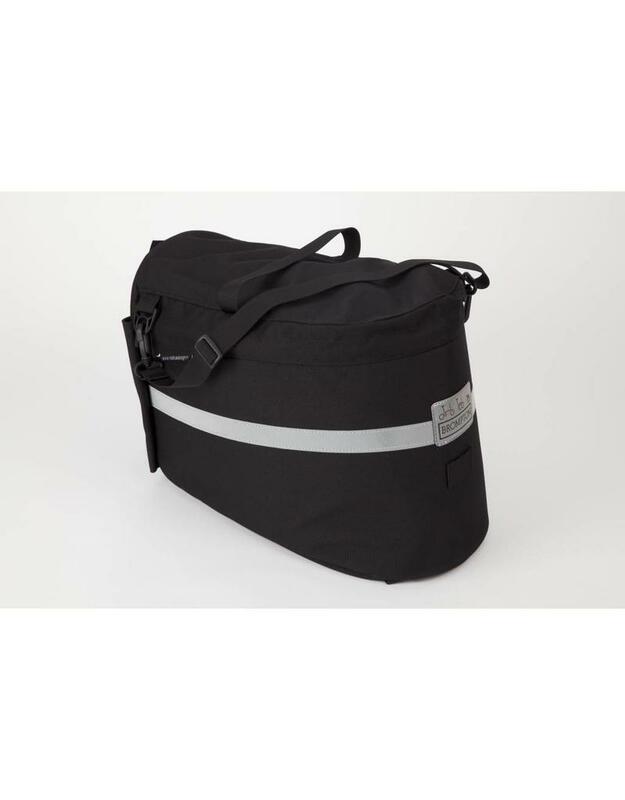 The Brompton Rear Rack Bag is intended to be used with the Brompton rear rack (indicated on bikes with "R" at the end of their code, such as M6R or H3R). 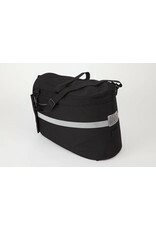 The bag is made of water-resistant Cordura and attaches via velcro straps to the rear rack where it sits on top. 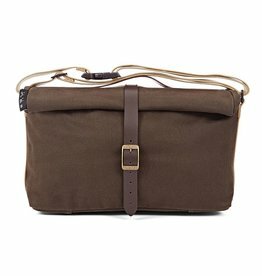 Its contents are accessible by a zipper that goes around the perimeter of the top of the bag. Inside is one large compartment measuring 7.9" wide by 9.8" high by 15.75" long, a volume of 16 Liters. There is also a small exterior pocket facing the front of the bike which is large enough to fit a wallet and some maps. This bag comes in Black only. 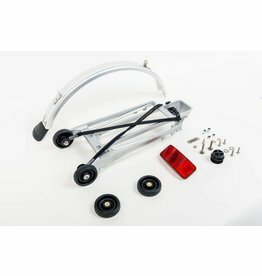 This kit provides all the parts needed to install a Brompton Rear Rack onto a Brompton that lacks the rear rack. 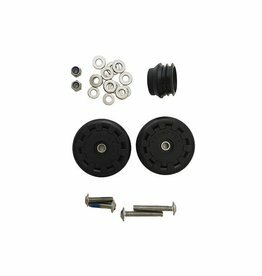 Upgrade your standard rollers to a slightly larger wheel.